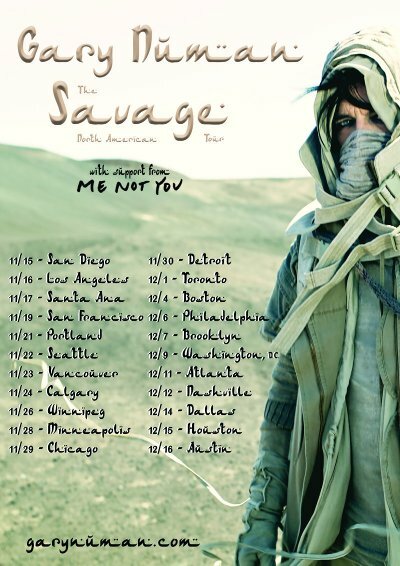 Gary Numan has set twenty-two dates across North America for this November and December. Numan is opening his The Savage Tour on July 27 in Liverpool, England, playing four shows in the U.K. in July and another six from September 30 to October 7 before moving to the Europe for the rest of October. Then, it's on to North America starting on November 15 in San Diego and running through December 16 in Austin. Tickets for the North American dates go on sale this Friday, June 30. 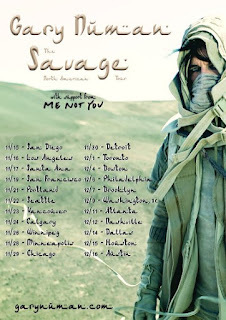 Numan has a new album, Savage, due later this year, with the single, My Name is Ruin out, along with its video, in the near future.